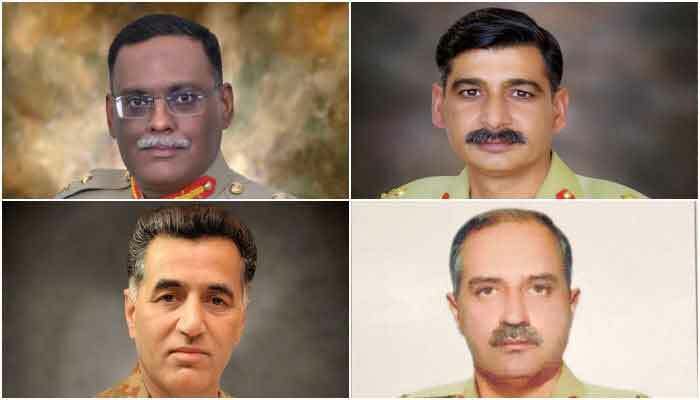 The Inter-Services Public Relations (ISPR) on Friday announced the promotions of four Pak army major generals to lieutenant generals. According to the Pak army media wing, It has promoted Major General Sahir Shamshad Mirza, Major General Nauman Mahmood, Major General Azhar Abbas and Major General Faiz Hameed to the rank of lieutenant general. Sahir Shamshad is working as Vice Chief of General Staff in Pak army, while Azhar Abbas remained Commandant School of Infantry Quetta. Earlier in September, 2018, Pak army promoted 6 Major Generals to the rank of Lieutenant General, said the Inter-Services Public Relations. The promoted General Officers include Major General Shaheen Mazhar, Major General Nadeem Zaki Manj, Major General Abdul Aziz, Major General Asim Munir, Major General Adnan and Major General Waseem Ashraf. Moreover in the same year, the Pak Army had approved the promotion of 37 brigadiers, including nine from the Army Medical Corps to the rank of major general. Chief of Army Staff General Qamar Javed Bajwa presided over the meeting of the Promotion Board at the General Headquarters in which he had approved the promotions.